I know the Bobbi Brown Mini Mask Trio was released a little while ago but I spied it in John Lewis on the weekend and thought it's exactly the kind of Secret Santa gift/ stocking filler that I would like to receive! 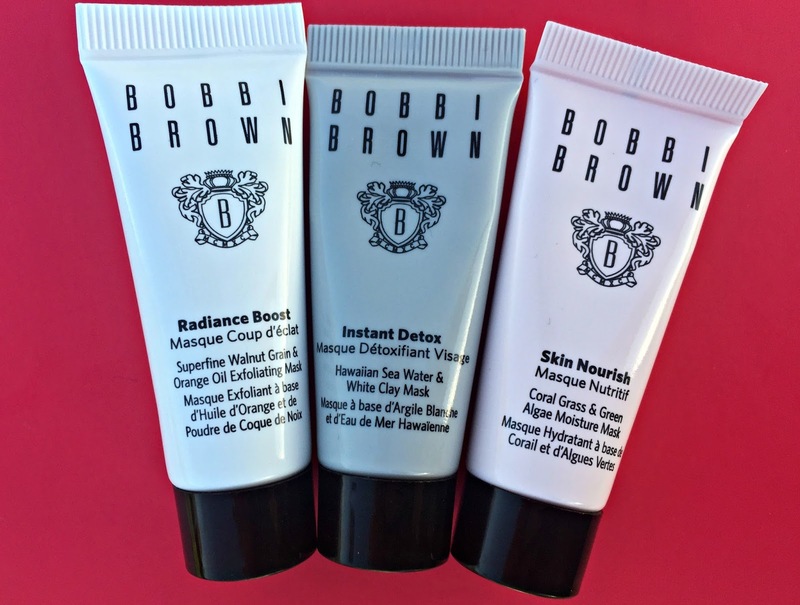 Bobbi Brown isn't exactly a cheap and cheerful brand so the fact that this little pack of three face masks is only £10 further sweetens the deal. The trio includes cute 7ml tubes of Radiance Boost, Instant Detox and Skin Nourish masks so it's a great little kit for multi-masking or sampling Bobbi's masks before committing to the full sizes (the full sized 75ml tubes are £33 each). The Radiance Boost Mask is an exfoliating mask that contains fine walnut grains for a physical exfoliation action. It also contains Orange Oil and is designed to instantly pep up the complexion and get things glowing. The Instant Detox Mask is a clay mask that features an Amazonian White Clay base and is formulated with Hawaiian Sea Water. This is a pore-unclogging, clarifying mask which is a bit different to your standard clay mask in that you just leave it on for three minutes rather than wait for it to go all dry and crackly. Finally, the Nourish Mask is a tissue-off formula that features Coral Grass and Green Algae. Similar in consistency to a face cream, I feel like this soothing mask would be particularly nice in the autumn/ winter months. In other words, perfect for now. You can find the full size masks and Mini Mask Trio at John Lewis and Bobbi Brown online.